Born in 1968 in Scordia, in the province of Catania, Sicily (Italy), Paolo Buonvino graduated in piano at the Conservatory F. Cilea in Reggio Calabria and studied Music Discipline at the University of Bologna. Initially, he started his career as a musical assistant of Franco Battiato, then he devoted himself to theater, writing incidental music for various theatrical companies. He composed “Francesco: la notte, il sogno, l’alba” “Francesco: the night, the dream, the dawn” (1995), a multimedia opera for soprano, tenor, bass, voice, orchestra, chorus, computer and keyboards; “Epiklesis” (1996), a mass for soprano, chorus, orchestra, computer and keyboards. Buonvino began composing film scores with the television film “The Octopus 8” (1997, Rai) by Giacomo Battiato. 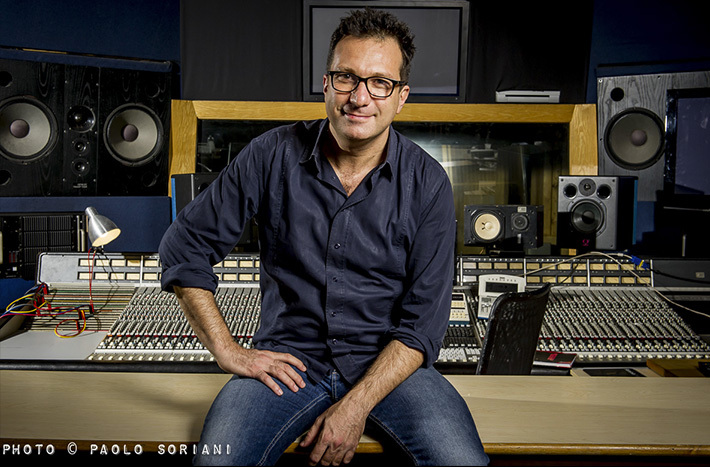 In 1998, he wrote the soundtrack for “Ecco Fatto” by Gabriele Muccino, with whom he worked the following year in “But Forever in My Mind” and then again in 2001 in “The Last Kiss” and in 2003 in “Remember Me, My Love”. He has also worked with the following directors: Michele Placido, Giovanni Veronesi, Paolo Virzi, Carlo Carlei, Carlo Verdone, Roberto Faenza, Dyane Kurys, Gianluca Tavarelli, Renzo Martinelli, Valerio Jalongo, Luciano Odorisio, Alberto Simone, Davide Marengo and many others. For Antonello Grimaldi, he composed the music for the film “Quiet Chaos” (2008) starring Nanni Moretti. In 1999 he was awarded the “Rota” award (collateral awards) at the 56th Venice International Exhibition for the music of “But Forever in My Mind”. At the Festival International de Luchon (2002) he received the award for best soundtrack for the film “Le jeune Casanova”. In 2008 he received the “David di Donatello” and the “Silver Ribbon” for the soundtrack of the film “Quiet Chaos”.